Jules Bacon was born in Philadelphia, PA on July 8, 1917. He would become one of the pioneers of bodybuilding competition. actually shot in the leg by a friend. Fortunately, it did not deter him from classic bodybuilding greatness. Ironically it was one reason he began bodybuilding in the first place. Because of the injury and other unusual mishaps he set about improving himself with weight training. By 1935 Jules had joined Fritshe’s gym in Philadelphia and his Mr. America physique began to take shape. 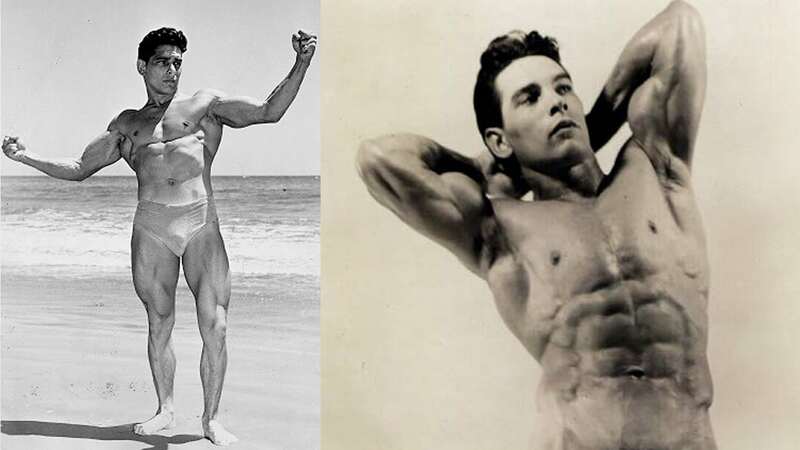 He had progressed enough that he decided to enter bodybuilding competitions and won the Mr. Philadelphia title in 1941. One week later he competed in the Mr America. At the time the America was the top bodybuilding title around. Unfortunately, he took second to the great John Grimek in his first America contest. He and John would become life-long friends. Second place to John C. Grimek was not so bad. A long time Olympic lifter and very heavily muscled, many considered Grimek to be unbeatable at the time. Bacon sat out of the Mr America contest in 1942 which was won by Frank Leight (Leight had taken third behind Jules in 1941). He returned the following year with the determination of a champion. Not a mass monster by any means, he entered the contest at 5’7 175lbs with 16″ arms. All that changed when the new Mr Universe contest was scheduled to be held in Philadelphia, PA where Bacon called home. He did not place in that 1947 event. Mighty Steve Stanko took the title. Jules did come back and took second to John Isaacs in the 1953 NABBA Professional Mr. Universe short class. Although I am Light boned, had physical handicaps to begin, have always worked hard in the heat of a foundry, by training with the York courses, barbells, dumbbells, and swingbells, I built the physique which won for me the greatest physical honor in America, the Mr. America crown. In my opinion York training methods are best and the combinations offered on this [ad]page are the best values in the world today. Bacon later owned and operated his own gym, along with his wife, from 1957 to 1961. He also did a series of assemblies promoting fitness to local high schools with Olympic Champion Jesse Owens with whom he became friends. Jules Bacon died on January 13, 2007 at the age of 89. Rest in Peace Mr. America.